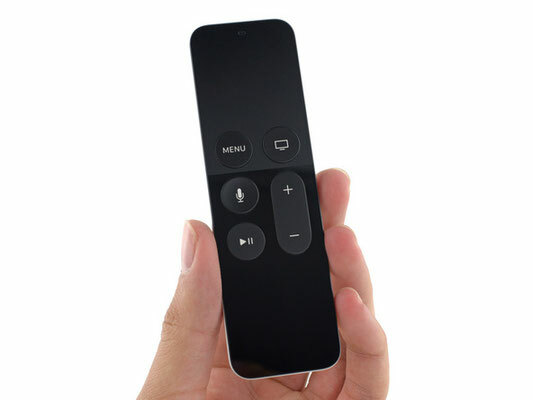 The console uses a 2-core 64-bit processor Apple A8, wireless modules Wi-Fi 802.11a / b / g / n / ac and Bluetooth 4.0, infrared. 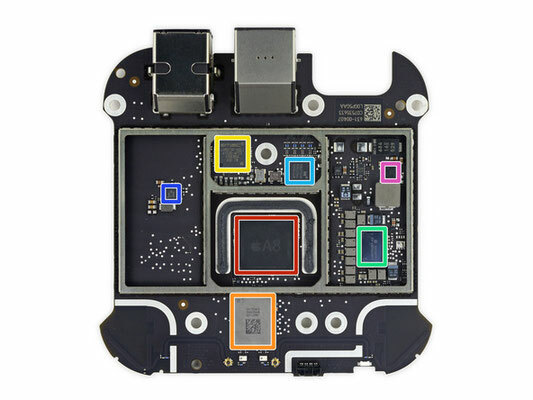 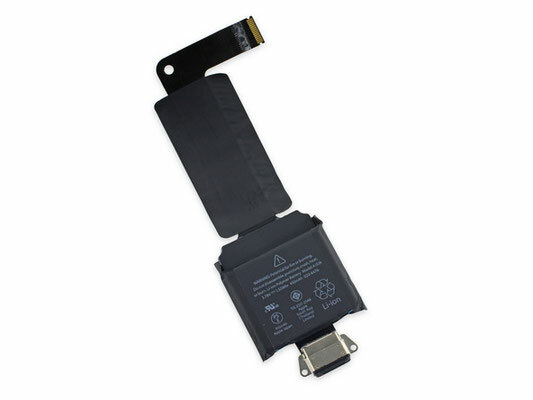 The device carries on board 2 GB of RAM and 32 or 64 GB of internal flash memory. 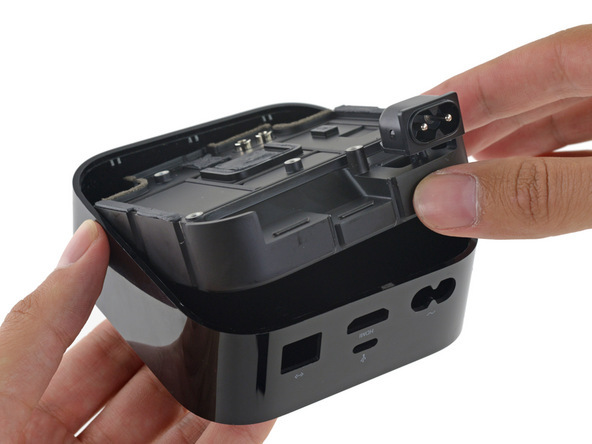 Wired interfaces offer Ethernet, HDMI 1.4 and USB-C. 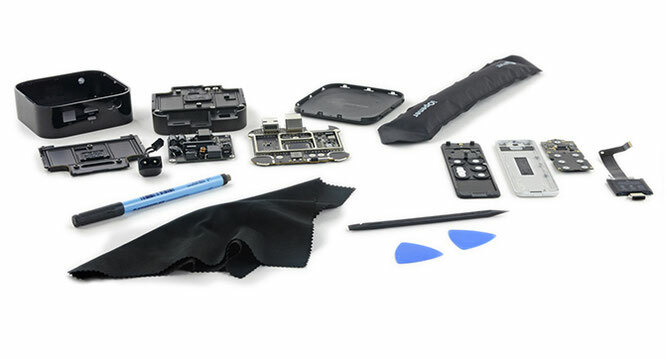 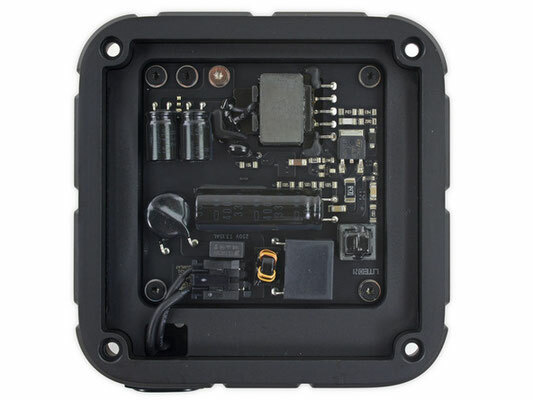 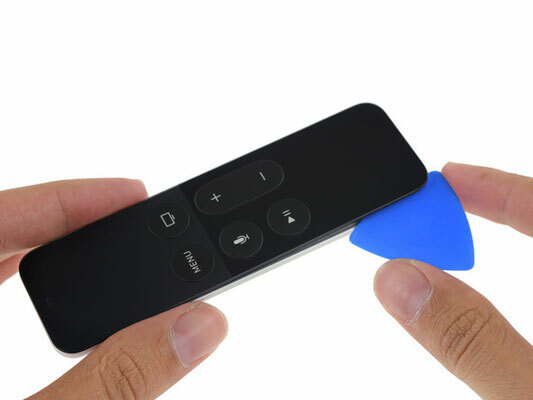 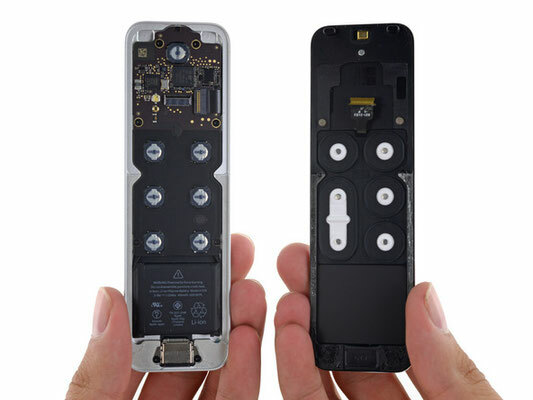 The remote control contains a touch surface, two microphones, an accelerometer, a gyroscope, a Bluetooth 4.0 module, an infrared transmitter and a Lightning connector. All important components are soldered to the PCB, their replacement will require the use of a soldering iron.